RxSorbo, leading online retailer of top-rated shoe insoles, is expanding coverage of sports shoe insoles, specifically cleated insoles for football and soccer. The company has updated its blog and website, accordingly for the Fall, 2015, sports season. We live in the so-called Information Age, so at least in theory it should be easy to gather the data needed to make informed decisions. RxSorbo, a leading online retailer of top-rated shoe insoles, is pleased to announce expanded coverage on sports shoe insoles, specifically cleated insoles used for football and soccer. This expansion, launched in August, 2015, comes just in time for the Fall sports season. 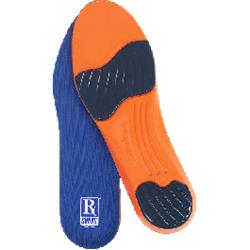 To browse available sports shoe insoles for cleated footwear on the updated page, one can visit the following URL: http://www.rxsorbo.com/insoles/cleated-footwear/. While at the site, one can also browse the company’s entire collection of classic heel pads, classic insoles, and the all whole line of walking sole insoles. Visitors are encouraged to click the 'blog' link for new posts, coming throughout August, September, and October on sport-related insoles.